LAHORE: Pakistan Muslim League-Nawaz (PML-N) leaders on Friday announced they would not attend any session of the Punjab Assembly until the ban on the entry of six of their MPAs to the house was lifted. The PML-N lawmakers were barred from entering the assembly after they allegedly caused chaos and destroyed government property during a budget session on October 16. The opposition members staged a protest in the assembly compound on Friday, chanting anti-government slogans. 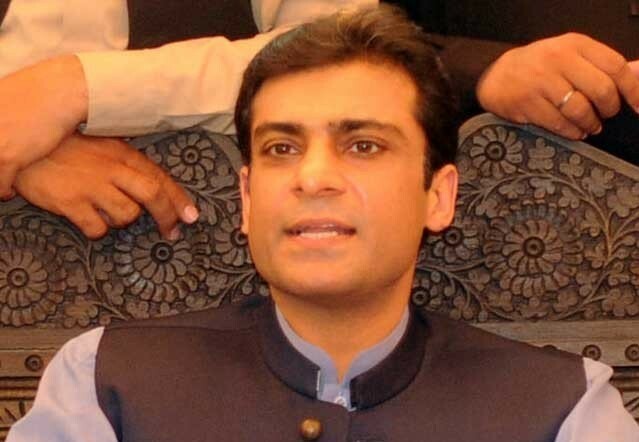 Addressing media outside the assembly, Opposition Leader in PA Hamza Shehbaz claimed that Speaker Pervaiz Elahi was a “seasoned robber” and “incompetent” to maintain the decorum of the house. The budget session continued without the presence of PML-N members of the provincial assembly. PML-N leaders had said that the people who “looted millions” had become senior ministers in the PTI government. They also attempted to attack Speaker Chaudhry Pervaiz Elahi as well as the Punjab Assembly secretary. Later, Speaker Pervaiz Elahi banned the entry of six PML-N politicians: Tariq Masih Gill, Yaseen Amir, Ashraf Rasul, Zaibun Nisa, Mirza Javed and Malik Waheed into the house.